Decorating your home is no longer contained to the interior. During the spring & summer months, families spend more & more time outdoors & lounging by the pool. Are you doing it in style? Whether you are wanting to add a few fantastic pillows to your existing patio furniture or go for a complete outdoor makeover, you now have more options than ever. 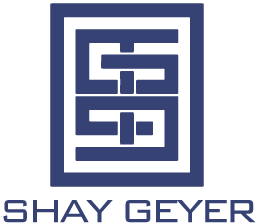 Color, well known designer fabrics, patterns & durability to nature’s elements are the focus of many manufacturers these days. 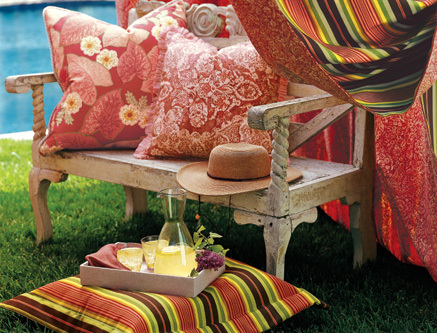 Take a look at some outdoor options that will having you feeling cool in your own backyard. Vibrant colors add life to an antique wood bench. 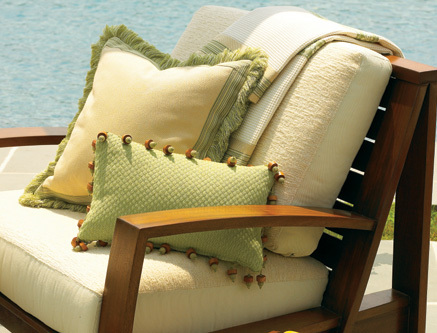 Spring green, butter yellow & neutral colors make for a calming serene poolside atmosphere. 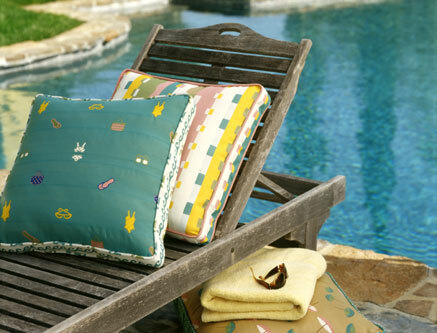 Swimsuit themed prints & bright colors add a whimsical flair to this wooden chaise lounge. 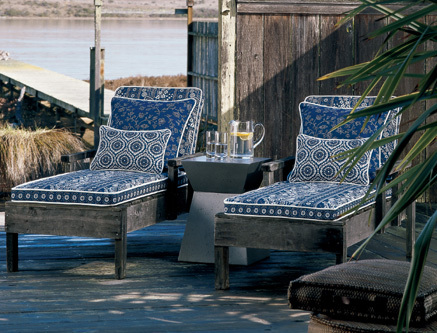 Traditional blue prints by Laura Ashley add color to these weathered wood framed chaise lounges.